As summer season is quickly approaching, we finalized our recruitment season in Quito, Ecuador! 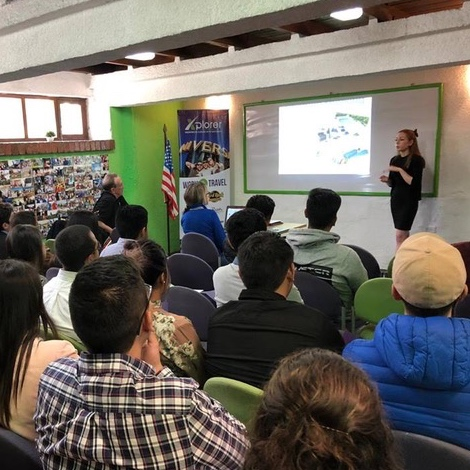 K.Leigh represented WWCE on the trip, hiring for Six Flags Magic Mountain in Valencia, CA and providing an in-depth presentation to the potential participants on the program’s purpose, the regulations of the program. K.Leigh was accompanied by Marco from Loews Hotels who hired for Food and Beverage and Lifeguard positions at the various Loews hotels in Orlando, FL. 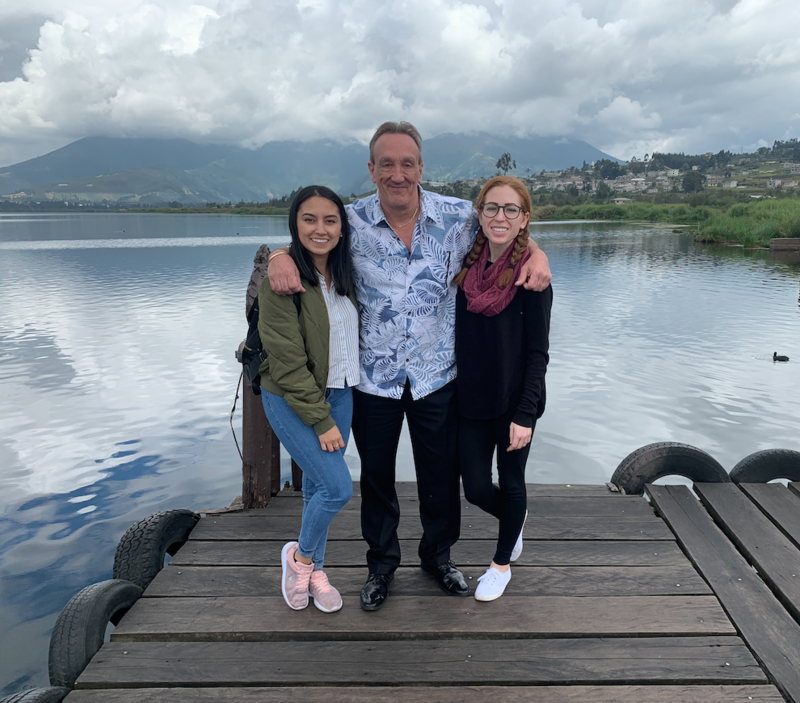 The first day of K.Leigh and Marco’s trip introduced them to the culture of Ecuador. WWCE’s partner, Xplorer, brought K.Leigh and Marco to an artisan market, a peaceful lake, and the middle of the world. 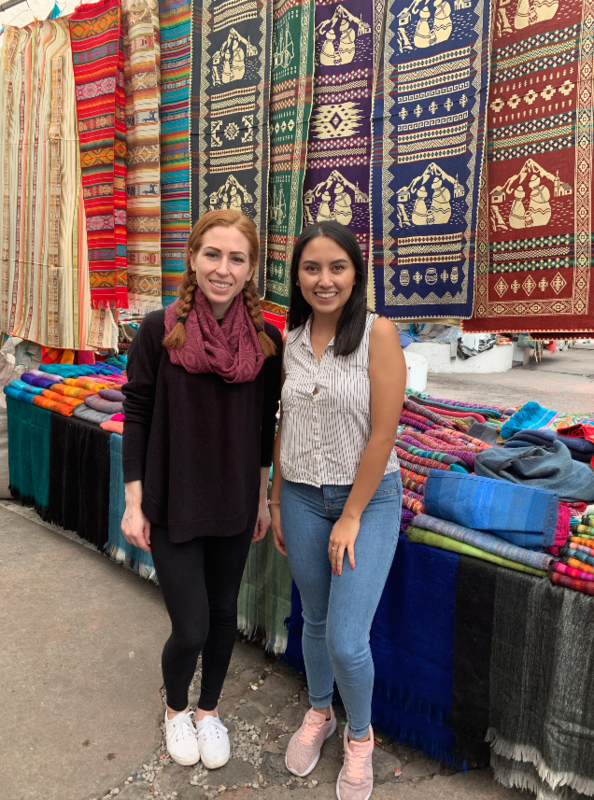 Two hours outside of Quito, the indigenous people of Otavalo showcase their talents for handcrafted items by selling colorful geometric blankets, embroidered kitchen textiles, vibrant paintings of local peoples and landscapes, and more. K.Leigh left with a maroon circle scarf (featured below) and adorable thread-covered pens with llamas on top to share with the WWCE office. Next, the group travelled to San Pablo lake, a serene location with active and inactive volcanos as a backdrop. Lunch on the lake was traditional fare, with K.Leigh trying a vegan version of the popular item ceviche. Following lunch, the group visited Ciudad Mitad del Mundo - the middle of the world city. Within the tourist attraction, K.Leigh and Marco explored exhibits that recreate the lifestyle of indigenous people and stood on the center of the earth - the longitude degree of 0’. Fun fact: Quito’s name was derived from the word equator. The day ended with a delicious meal overlooking the city’s lights. 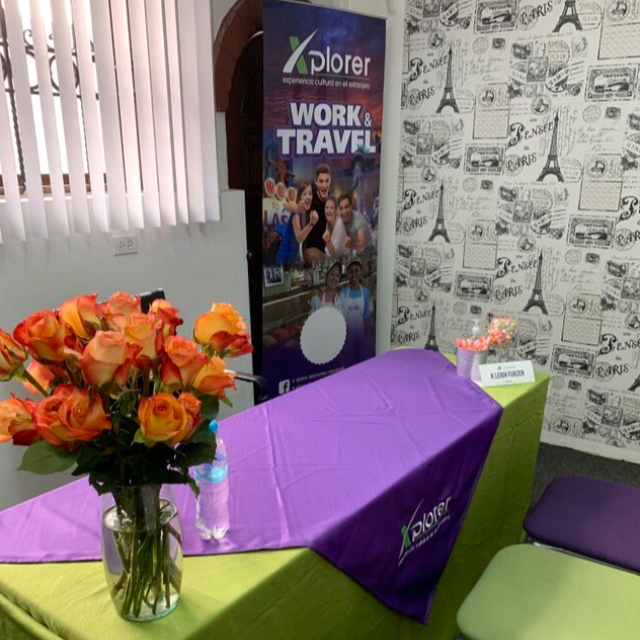 The recruitment fair took place in Xplorer’s architecturally stunning office, reimagined within the structure of a home. The participants were fully engaged during the WWCE presentation by asking numerous questions about the program logistics, which always makes for a better experience for both K.Leigh and the participants. K.Leigh and Marco enjoyed meeting every candidate and hearing why they want to be an Exchange Visitor in the USA. An amazing group of participants was selected, and WWCE cannot wait to hear about all the cultural experiences they have over the course of their program! Thank you to Xplorer for being an outstanding host to K.Leigh and Marco! Photos by WWCE and Xplorer.